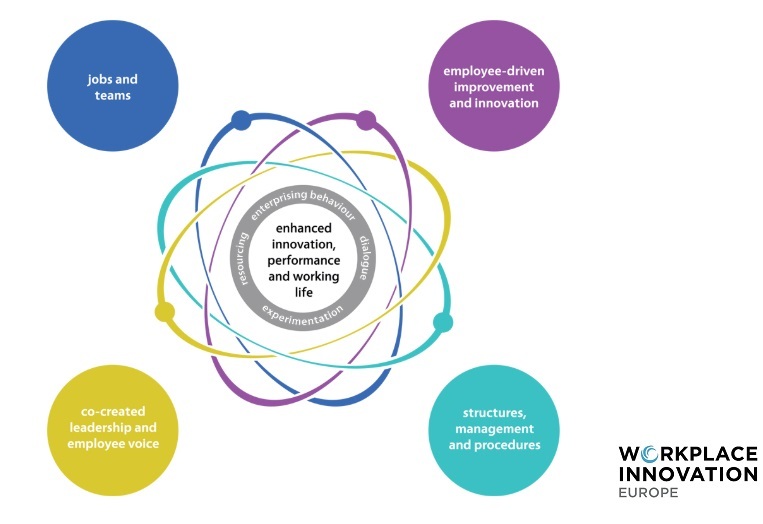 The Essential Fifth Element offers a practical, evidence-based approach to understanding workplace innovation practices as well as their impact on performance and working life. It has found many applications across Europe. The Essential Fifth Element describes the enabling, responsive and innovative culture that is so deeply embedded in some organisations. Such a culture is not the product of an initiative or a leadership development programme. It is only created when each of the other four Elements are in place – a system of mutually reinforcing practices. But it is when these elements combine that something remarkable begins to happen. 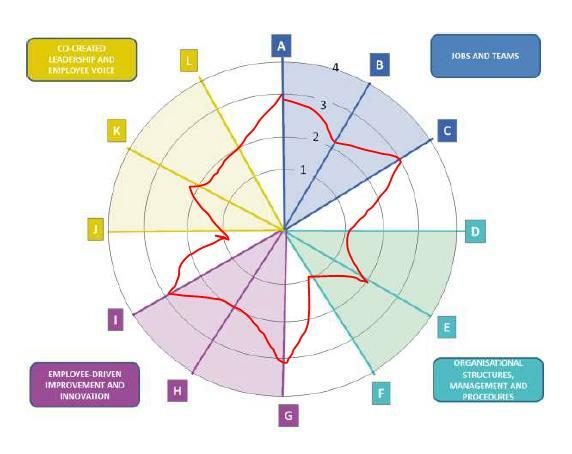 This is The Essential Fifth Element, the buzz you get in a workplace where employees at every level use and develop their knowledge, experience and creativity to the full, where employees come to work to improve the organisation as well deliver their functional tasks in the best possible way. Objectives and KPI integrated and aligned with Business strategy and Organisational Architecture. Solve the “Silo thinking” issue​. Adopt a systemic and service oriented approach​. Take advantage of the full talent of people and teams​. Contribute for the well being of people​. Adopt a unique management system to support all the ISO quality norms and the others management systems like management control, risk, people management, information systems management, management control​. Comply naturally with ISO 9001:2015​. Ensure that everyone sees Quality as a behavior. Align each project with the business strategy and organizational architecture​. Optimize the priorities of the projects​. Reduce the uncertainty of the business plan​. Increase the tangibility of the payback of the projects. Ensure that the assessment system is contributing for the strategy execution​. Ensure that everyone has the power and resources balanced with his objectives and goals​. The World-leading Organisational Architecture software. Capture, handle and deliver visual insights to business stakeholders.